Canadians care about global poverty and development. Four out of five people surveyed in 1987 agreed that one of the best things about Canada was its global generosity. A recent poll of Alberta residents carried out by Angus Reid found no less than 89% ranking global poverty as priority. Working against this is what Richard Nimijean has called a “rhetoric-reality gap” in Canadian foreign relations. In plain language: there’s no shortage of high-minded words from Ottawa, but the reality is a far cry from the rhetoric. The rhetoric gap isn’t new to Canadian development aid. It was foundational to the project. 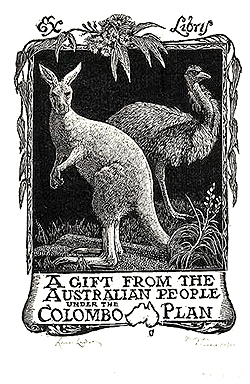 Louis St Laurent’s Liberal government was keen to provide big postwar reconstruction loans to Europe, but dragged its feet when invited to take a leading role in the Colombo Plan for aid to Asia. As Commonwealth foreign ministers created that plan in 1950, Canada’s Lester Pearson cabled home that “it would cause no surprise to any of the Governments more directly concerned if we were to decline on the grounds that we have heavy commitments in other areas.” Eventually Canada signed on, but the majority of early Canadian aid funds went to buy Canadian wheat for shipment to Asia, with Canada far behind the 0.7% of GDP target reached in the 1960s (if not today) by the United States, Britain and France. All donor countries, meanwhile, made sure their aid was directed to staving off communism, rebuilding multilateral trade, and promoting their image in the recipient country. Images of Canada as a humanitarian aid donor have found their way into the country’s diplomatic self-image, but there’s a substantial gap between those images and the fact of Canada’s development aid, which peaked in 1978 at 0.53% of GDP. Canada scores poorly in absolute and comparative aid rankings. It’s fair to ask, then, where Canadian development aid policy is heading as the government and non-governmental organizations mark International Development Week, an event the Canadian International Development Agency (CIDA) touts as “a unique opportunity” to “publicize progress achieved and lessons learned in international development.” Decisions in Ottawa starting in 2009 show that CIDA may be ignoring the lessons learned in six decades of development work. One lesson is that Canadian non-governmental organizations who have forged links with counterparts in the Global South have some impressive success stories. Solidarity work is effective in addressing the needs of communities and community-based organizations in the South. It’s also cost-effective. Much of the work funded by CIDA is carried out by private companies, which would be hard-pressed to do community-based work. This approach, in other words, isn’t simply good politics. It’s also good value for taxpayer money. Unfortunately, CIDA seems to be turning towards slashing funding to respected Canadian NGOs. This threatens to pull the plug on effective work carried out by community-based groups in the Third World. The issue is not simply whether an established church agency should receive CIDA funds. It is also whether Canada should continue supporting grassroots work aimed at providing some of the tools for change. Early signs are that KAIROS may not be alone in being targeted. The National Post reported in December that CIDA would de-fund Alternatives, a Montreal-based organization working with groups in Afghanistan, the Democratic Republic of Congo, Iraq and elsewhere. Such a step would have “serious consequences” for the work of the Senegal Social Forum, its director wrote on Jan. 25. Those who follow Canadian development policy already had their heads spinning from changes in focus by CIDA. The agency’s shift to focus on twenty countries has been linked to Prime Minister Stephen Harper’s increased focus on Latin America trade and investment, where a special focus goes to the actions of Canadian mining companies who face protests from activists in Honduras, Peru and throughout the continent. CIDA seems increasingly militarized, for instance in the “whole of government” approach to Afghanistan. “CIDA’s not a humanitarian agency, we’re not neutral, we’re there as part of a NATO mission,” an agency official said recently, adding that the CIDA-military team-up was likely to be applied in other countries: “What we’ve learned on how to work together will be useful elsewhere.” Most recently priorities shifted yet again, with Harper announcing a focus on maternal and child health, despite his government’s cuts to the same areas at home. Development overseas is ineffective without a commitment to human rights, and celebrations of development do little if accompanied by politicized shifts in official development policy. Recent actions in Ottawa suggest that the government intends to undermine its words by punishing groups that do some of the most valuable work on that file.